The Australian Airports Association (AAA) is creating a network for women who work in the airport industry as part of efforts to support the “participation and advancement of women working in both operational and leadership roles”. The Women in Airports Network (WIAN) was launched on International Women’s Day on Friday. The AAA said the network would provide a forum to discuss career development and leadership pathways for women working in airports across Australia and New Zealand. “Airports operate in a truly global industry and a diverse workforce is absolutely crucial to support our growth and success,” AAA chief executive Caroline Wilkie said in a statement. “With global passenger traffic expected to double in the next 15 years, there will be many great career development opportunities for airport staff in the future. The AAA said it would hold a Women in Airports Forum ahead of its national conference in November 2019. Meanwhile, the federal government on Friday launched a women in aviation initiative designed to encourage more women to pursue careers in aviation. Deputy Prime Minister and Minister for Infrastructure, Transport and Regional Development Michael McCormack said $4 million in funding would be used on a wide range of programs to engage with women. “One example is to target school-aged students and their parents to better understand the wonderful career opportunities of the aviation sector,” McCormack said in a statement. The government said it would work with relevant industry groups on the Women in Aviation initiative. Women in Aviation International (WAI) Australian chapter President Tam Augostin said theinitiatie would provide a major boost to the aviation industry’s goal of increasing the number of women working in the sector. “This funding will support initiatives by significantly advancing outreach programs, and maximising the ability to support young girls and women across regional and remote Australia,” Augostin said. Wilkie said the AAA looked forward to working with the government on the women in aviation initiative. “We are really pleased to see the Federal Government investing in the future careers of women in aviation,” Ms Wilkie said. 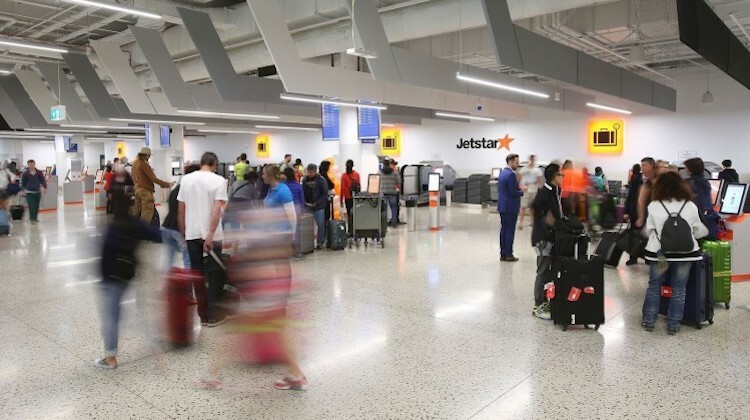 Earlier this week, the federal government announced the airport being built at Badgerys Creek would be named Western Sydney International (Nancy-Bird Walton) Airport. The new Western Sydney International Airport will be named after Nancy-Bird Walton, Australia’s first female commercial pilot.